Join the crowd or drive your tractor in the parade! 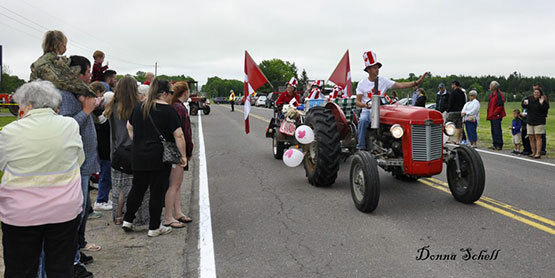 What started out as an idea by 4 St. Joseph Island antique tractor owners who decided to go out for breakfast and show off their tractors has turned into a yearly event. Each year, the parade has grown to include over 50 tractors of every make and model. Participants and spectators anticipate this event each year. After the Tractor Trot, everyone is invited to attend the All You Can Eat Pancake Breakfast at the Legion.